I visited a fascinating native plants garden this past week, the Mount Cuba Center in Hockessin, Delaware. A botanical garden devoted to the native plants of Delaware’s Piedmont plateau, Mt. Cuba is preserving 1,000 acres of this special habitat. It also provides object lessons about how you can use native plants in your own landscape, whether formal or informal. I was especially interested in the container plantings, which had, to my eye, a special kind of beauty. They also provided examples of ways a novice might get started with natives. They would fit into any kind of garden, even the sort of formal landscape into which a gardener might be reluctant, at least initially, to invite native plants with their less refined, more naturalistic look. I took the opportunity to meet with the Mt. Cuba gardener who is responsible for designing, planting and maintaining the containers, Donna Wiley. She offered several useful tips for a gardener who is beginning to work with natives in containers. First, she recommended working with compact cultivars of the natives. The species type plants fresh from the wild can be expansive, which makes them more of a challenge to work with, although with sufficiently large containers, they can be accommodated. Donna also recommended starting with good sized plants, such those sold in 1-gallon nursery pots. 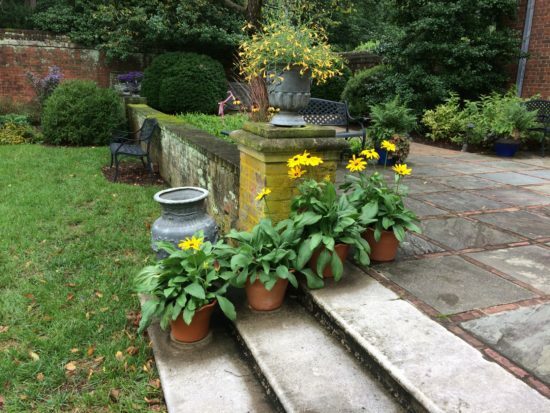 Because most of the natives she uses are perennials, they don’t come on as fast from plugs as do the annuals which serve as filler for more conventional containers. 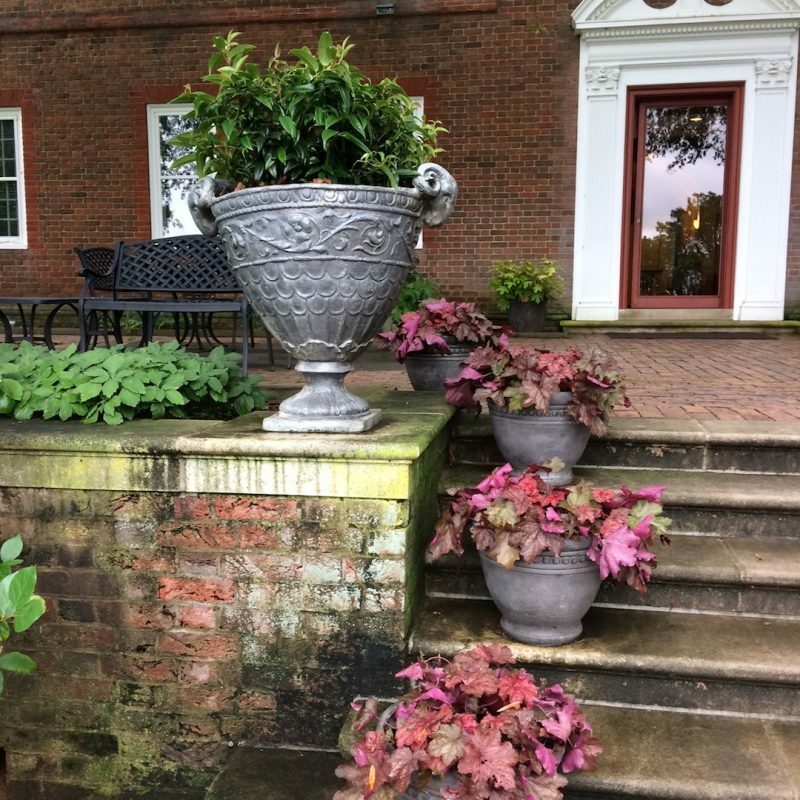 And because the plants Donna works with tend to be perennials, their season of bloom is relatively brief, so that foliage texture and color become more important to the container display. 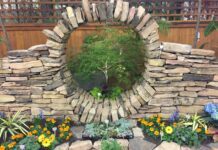 Finally, because the native plants tend to be closely adapted to certain habitats, it is essential to consult their needs when selecting the plants for a particular container. 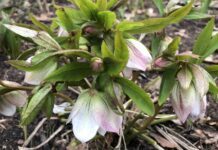 Many of the traditional garden plants have been selected and bred to tolerate a wide range of conditions, from sun to shade and spring cool to summer heat. The natives are, as a group, less accommodating and must be matched more carefully to the setting. Next articleHow about a wall of flowers? Since the fall is the most important time to feed the pollinators (the blooming trees do a fine job in the Spring), I supplement pollinator diet with containers filled with the family ‎Asteraceae allowing me not to disturb the other post-bloom summer plants gathering their nutrients for winter survival from their dying leaves. It’s also a good way for a beginner to get introduced to gardening fun because the bumblebees and butterflies entertain.